This doggie will soon officially have a mommy! His human daddy asked and she said "yes!" 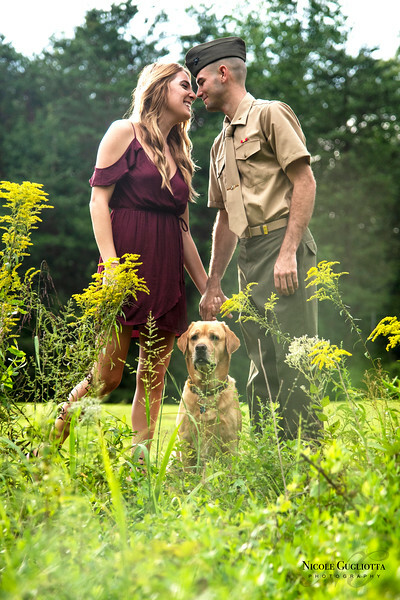 They are one big happy family-to-be at this engagement session in Stafford Civil War Park in Stafford, Virginia.